Solebay Sea Scout Troop is the girls Scout Troop, who meet on Monday nights at The Den. 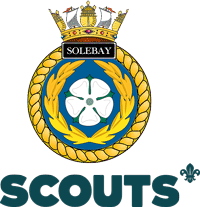 Originally SRS Solebay Sea Ranger Crew, they transferred to be Scouts in 2014. Although the two Troops meet on different nights, we run a lot of combined activities weekly and throughout the year, the highlight being Summer Camp in July and the Easter walking week in Derbyshire. Solebay meet every Monday night at the Den between 1900 and 2130. The Troop aims to help girls and young women develop emotionally, mentally, physically and spiritually so they become well balanced individuals and can make a positive contribution to their community and wider world. 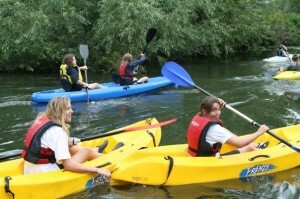 This is achieved by offering a rounded programme of boating activities such as rowing, sailing, canoeing, powerboating and offshore sailing and other outdoor activities such as camping, hiking and orienteering. At the weekly meetings the girls work towards skills badges to develop themselves personally and take part in team tasks involving cooking, craft, fashion shows with outfits made from rubbish, keep fit, badgework, role-play, fancy knotting, 1st aid and many other exciting challenges. So if you feel you would like to be challenged, make lifelong friends, have fun and adventure, then come and join us. For more information please call Solebay Sea Scout Leader Karen Cruiks on Monday evenings at The Den on 01702 476890.